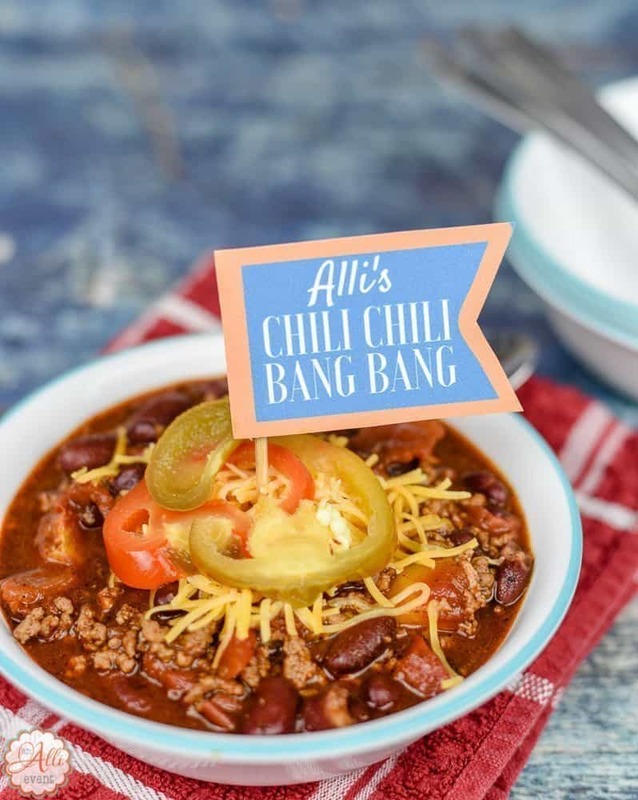 How to Make Chili Chili Bang Bang is a sponsored post written by me on behalf of BUSH’S slow-simmered chili beans and Hunt’s vine-ripened tomatoes. All opinions are my own. Old man winter took his sweet time arriving at my southern home, but when he finally made it, he arrived in style. 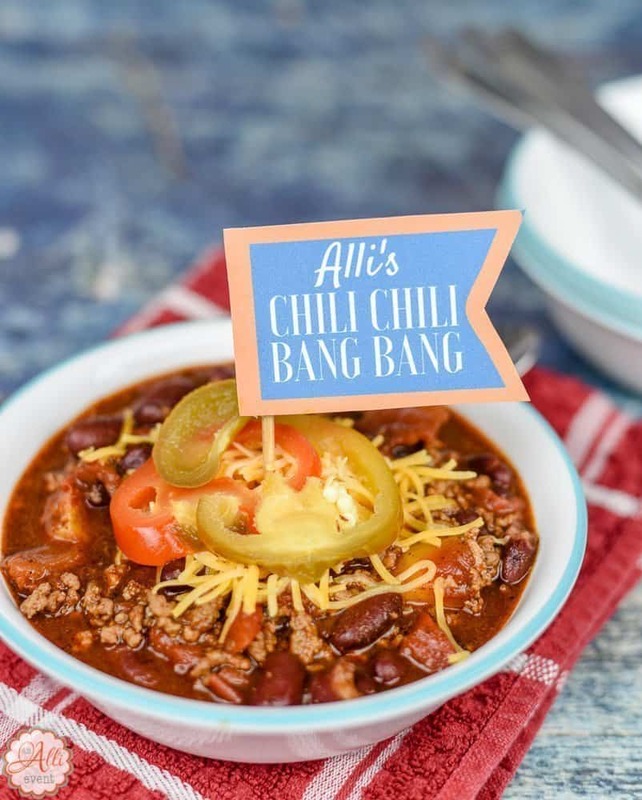 Baby, it’s cold outside and that means it’s time to make a big batch of my Chili Chili Bang Bang! It has a nice kick for those of us who like it hot, but it’s not over-the-top spicy. It’s just right! To ensure my Chili Chili Bang Bang will taste amazing, I have a few tricks up my sleeve. I always begin with Hunt’s vine ripened tomatoes and BUSH’S slow-simmered chili beans. For this recipe, I use two cans of each. In a dutch oven or large saucepan, brown ground chuck and diced onion. Drain. 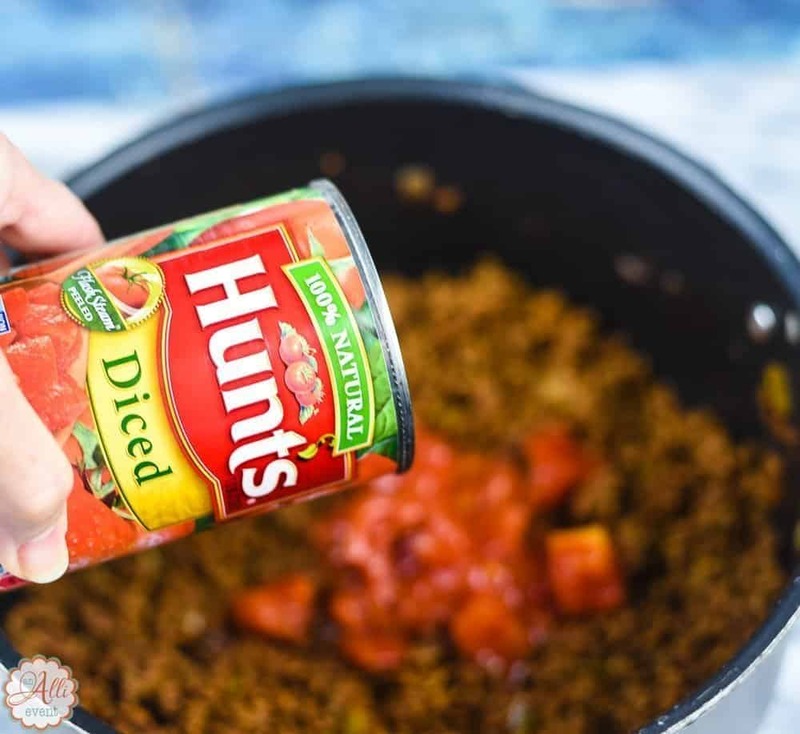 Add the spices and two cans of Hunt’s vine ripened tomatoes. 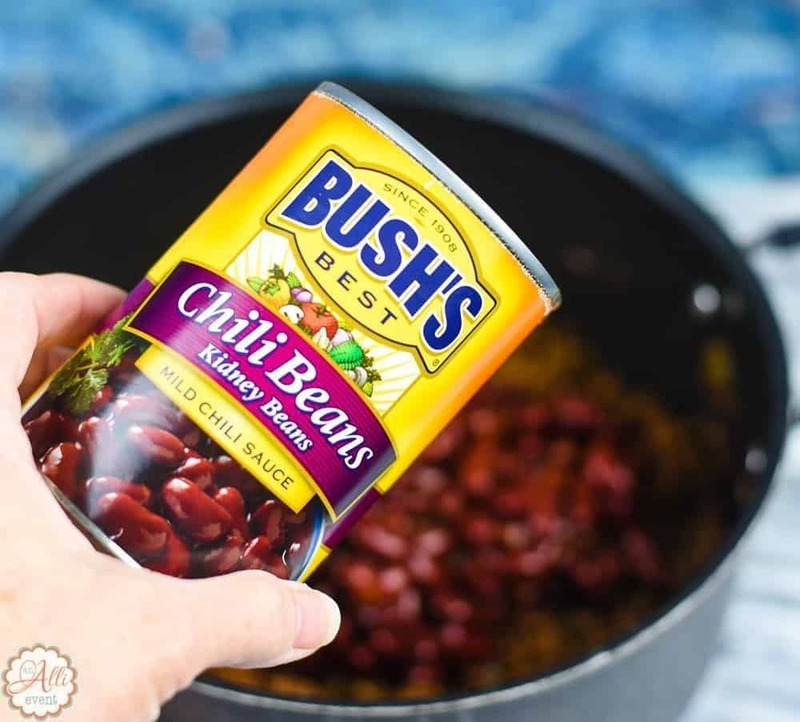 Add two cans of BUSH’S slow-simmered chili beans. Stir in 2 tablespoons grape jelly and bring to a boil. Lower the heat and simmer for 30 minutes. The grape jelly adds a little bit of sweetness and balances out the acidity. Helpful Hint: If you had rather use a slow cooker, mix all the ingredients together, transfer to a slow cooker and cook on slow for 4 hours. This is the method I use when I’m making my Chili Chili Bang Bang for gameday. Top with your favorite chili toppings before serving. I like to top my chili with shredded cheese and cherry peppers. You can also use tortilla chips, sour cream, avocado, limes. Hey, it’s your bowl of chili! Top it any way you like. In a dutch oven or large saucepan, on medium high heat, brown ground chuck and diced onion. Drain. Stir in the garlic, chili powder, cumin, salt, oregano, and chipotle peppers. Add BUSH's Chili Beans and Hunt's diced tomatoes. Stir well to combine. Simmer on low for 30 minutes OR transfer to a slow cooker and cook on low for up to 4 hours. 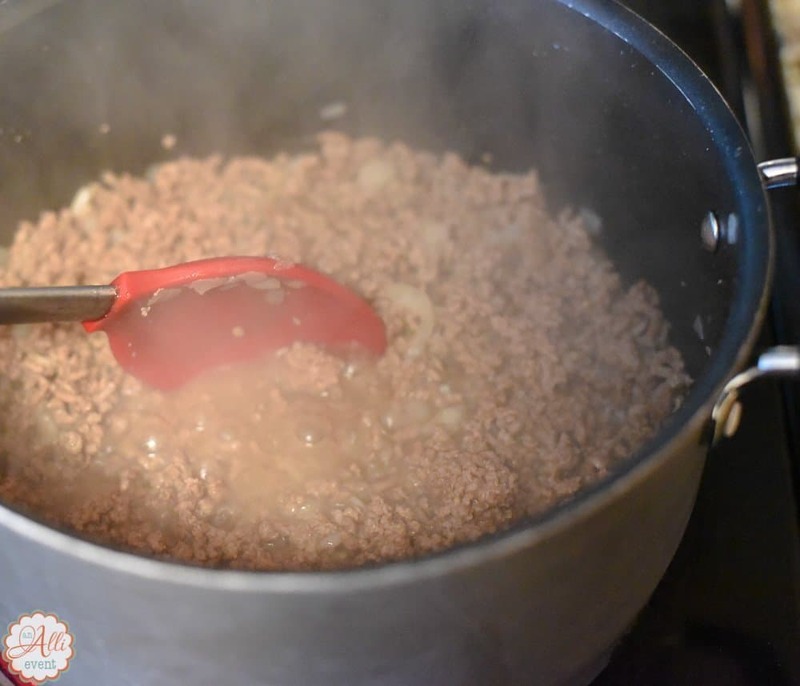 We rarely have leftover chili at my house, but if you do, chili freezes beautifully! 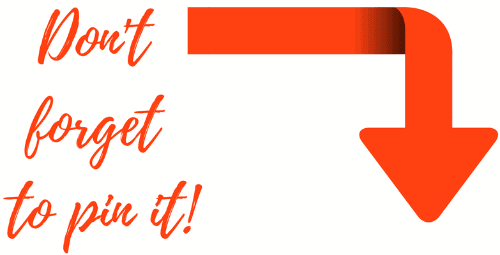 Freeze in airtight containers or heavy-duty freezer bags for up to six months. 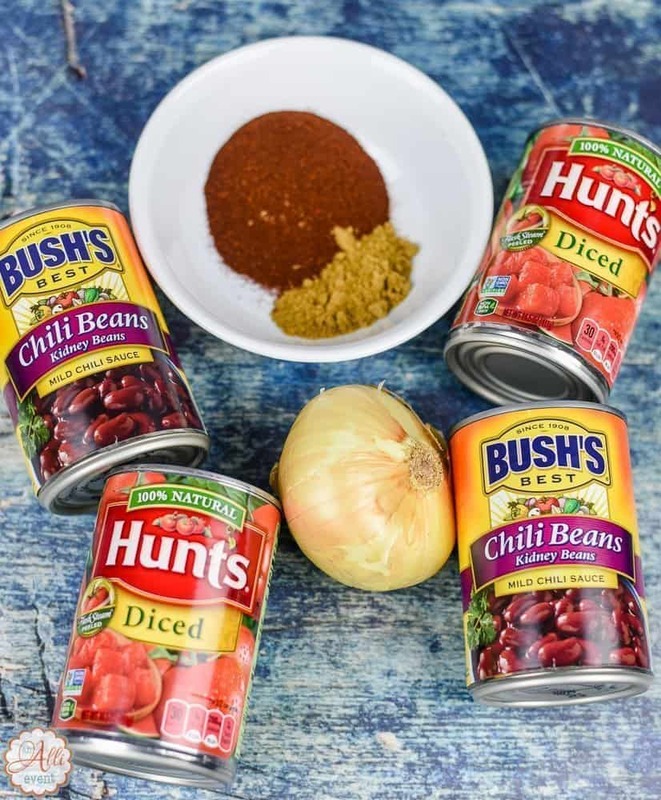 To find more fabulous chili recipes using BUSH’S Chili Beans and Hunt’s vine ripened tomatoes, be sure and visit Chili Pride! We are big fans of chili in my house. I make it probably 2 or 3 times a month. I am loving yours and will be giving it a try really soon. Yum, I just love making chili when it’s cold. I have a recipe I always use in my slow cooker, but I might have to try this one out. It sounds tasty! It’s definitely chili season. I always use both the dark kidney beans and the light kidney beans. It gives it a noticeable color change. Doesn’t affect the flavor as I’ve yet to taste a difference but it’s just how I prepare my chili and something I’ve done for years. I always have diced tomatoes on hand, they’re great for so many things. We do enjoy some chili in the winter. I’ve never tried adding some grape jelly to it, I’ll have to remember that. Oh now this sounds like it would be absolutely delicious and the perfect warming meal for this time of year, I am totally going to have to make some of your chili chili bang bang thank you. We like our chili spicy and with a bite. This would be perfect and chili is easy to make and will feed a crowd. It’s interesting that you used grape jam in your chilli. I’ve never heard of that being done before! I’m vegetarian so won’t be trying this recipe out but it does look great. I love chili and make it often, thanks for sharing your recipe, I always make it slightly different but want to try yours. This recipe is on point. I would love to make it sometime. I love this chili! I need to make some of it ASAP. Your chili looks delicious, I use Bush’s beans as well. I also use Hunts but I use their fire roasted tomatoes. Nothing beats a heaping bowl of chili, topped with all the fixins when it’s cold. We have had some unseasonably cold weather in Florida. This is perfect! I’m fascinated that you add grape jelly to your chili! I’ve never heard of that. I add cocoa powder. Wonder if it does similar things? Have to give this recipe a try. Comfort food! I love chili and I always have it with cheese, sour cream and tortilla chips. My husband and kids don’t like to have kidney beans in their chili so I divide my chili into two – one with beans which I love and the other half for my non-bean eating family. I love the menu’s name, chili chili bang bang, it sound spicy delicious! I would love to make a pot of chili one of these days when the weather gets freezing again. That looks totally delicious. I really want to try making this-thanks for sharing! This looks like such a yummy winter time recipes. Love your photos too! I think I will be saving this one to warm me up! Chili Chili Bang Bang sounds hot and spicy. Something ideal for the cold winter. A food to comfort and recharge. Perfect timing on this chili recipe. I’ve been craving good chili all month and I haven’t been able to find a place that offers it. Thanks for sharing this — I’ll have to try and make it. PS: I never knew you could freeze it too!